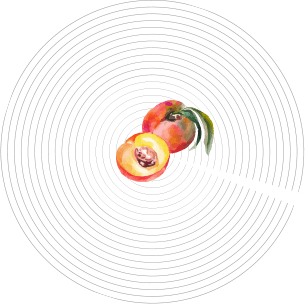 With the increasing awareness of” food safety” issues, we would like to offer the customers the traceability agriculture product for them to purchase and also promote the concept about” live together with agriculture” to assist the local farmers at the same time. 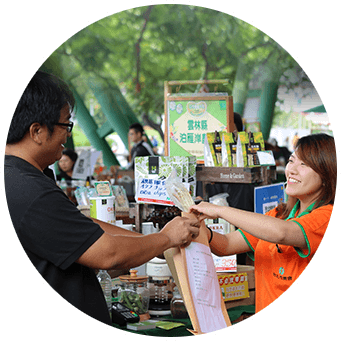 In order to offer the opportunity for customers to purchase the agriculture product from farmers directly, the Taipei City Government plays the goalkeeper to secure the highest quality of agriculture products. 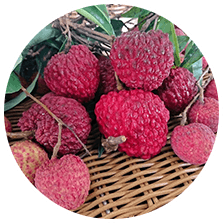 Taipei Expo Farmers Market have started its business near the YuanShan Station on Xinyi-Tamsui Metro Line since 2012, and we provide the excellent quality of agriculture product to customers through the Direct Selling model. In addition, there are lots of famous sightseeing attractions, such as: Museum Plaza- Taipei Fine Arts Museum, Dalongdong Baoan Temple, Shilin Official Residence, National Palace Museum, Shilin Night Market…etc. 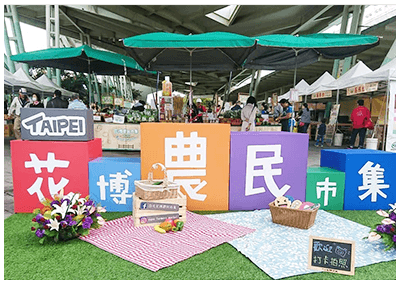 With the advantage of traffic convenience and wide hinterland, either domestic or foreign visitors/travelers will have a good time to enjoy the local market at Taipei Expo Farmers Market with a very relaxing and comfortable mood. 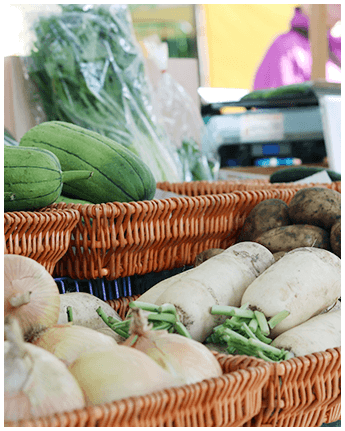 Customers will be able to know various kinds of fruit and vegetable products and purchase all the agriculture specialties from all over the Taiwan in the Taipei Expo Farmers Market. 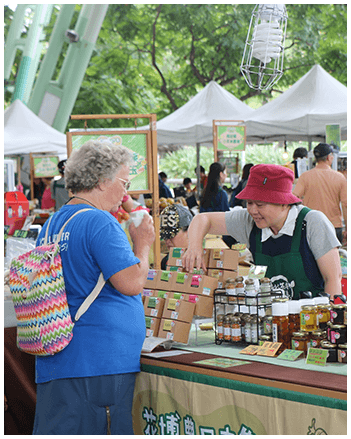 Besides, Taipei Expo Farmers Market opens up the suitable opportunity for local farmers to sell their agriculture products more directly for customers. Taipei City Government cooperates with all the farmers’ associations all over the Taiwan and sets up one hundred twenty stands every week and those stands will provide the fresh fruit and vegetable, agricultural processing products that fits the concept about fresh, safe and healthy food that is certified and assured by official agricultural institute. We have the standard security on our own agriculture products in a triple level! Firstly, Exhibitors needs to be recommended and permitted by the local government or related agriculture institution. Finally, Weekly Random sampling test about agriculture products on pesticide residue on the market place. In addition, inspection reports will be announced on the official website and offer the absolute protection on these purchasing agriculture products in the Taipei Expo Farmers Market. 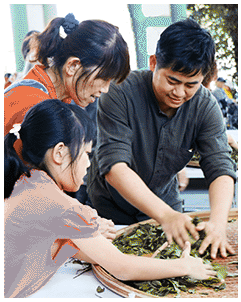 The specific features about Taipei Expo Farmers Market is quite different from other supermarkets and distributors, consumers can have the direct contact with the producers to have mutual interaction with each other to understand the details about producing processing, how to choose the agriculture products and how to cook and preserve at the right moment when visiting the farmers market. During the process of mutual communication, not only do the customers gain the trust about the agriculture products but also the producers acquire the sense of achievement and confidence from the customers. 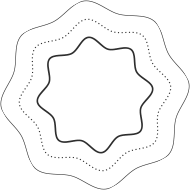 React to the consumers’ purchasing orientation, the producers have an overall understanding about the markets’ need and make a planned production to decrease the risk of being glutted that caused price to plummet and solve the problem of reducing production that leads to raising price and finally serves the function about setting the price and lessen the possibility about imbalance of production and marketing. At the same time, farmers will learn how to transform the traditional agriculture industry in order to emphasize its own characteristics and establish the brand about products. It would be a three-way win(win-win-win) for the government, consumers and farmers. 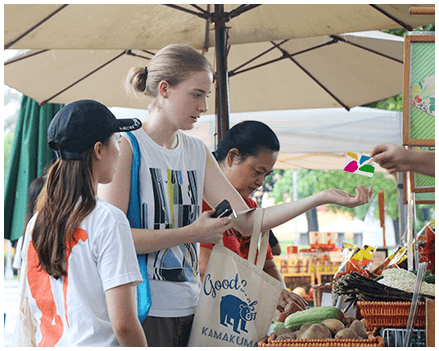 Easy card payment will bring you the joyness and leisure when visiting the farmer’s market. We have been promoting the easycard payment since 2018 and by using the easycard you can take the metro with convenience and shop with easiness. 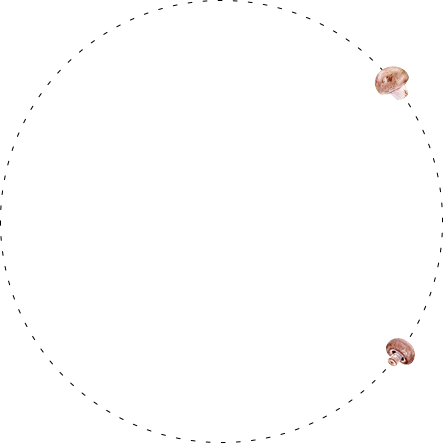 It will save you the time to look for small changes and provide you the more convenient way to pay. 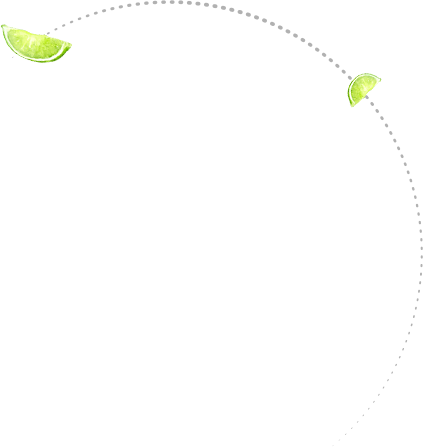 In addition to the agriculture specialties products, there will be a Flower Expo music event every weekend and also, we will invite professional entertainers and school club to give performance to entertain the customers when visiting the farmers market. In the meanwhile, the farmers market set up the Agronomy lecture hall and invite the lecturers to teach the customers the practical knowledge about how to purchase and cook the products from the stands. Customers will acquire some basic concepts about agriculture products from the professional lecture. Besides, Taipei Expo park will host various kinds of domestic and foreign exhibition, fun fair (fun carnival) held by enterprise and charity organization. 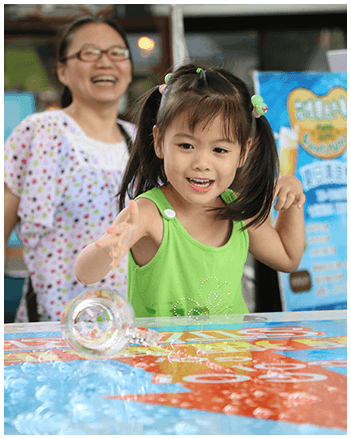 You will see lots of various kinds of combination activity and enjoy your leisure weekend in the Taipei Expo Park. It is a nice place for every generation to spend their free time freely and comfortably. 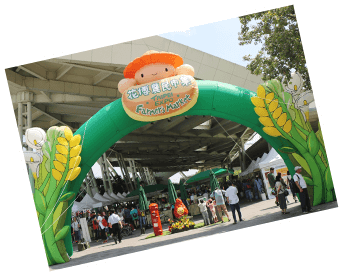 Please come to our Taipei Expo Farmers Market, you will experience a simple holiday life and slow down your own pace to enjoy lots of abundant activities that you can only have here and take your time to taste the diversity of agriculture products from all around the Taiwan.